Cake pops are fun, but the biggest flaw in my opinion is that they take quite a bit of time for just one little bite of cake. Adults might be able to cope, but one little bite just isn't fun enough for a kid! (Or me!) 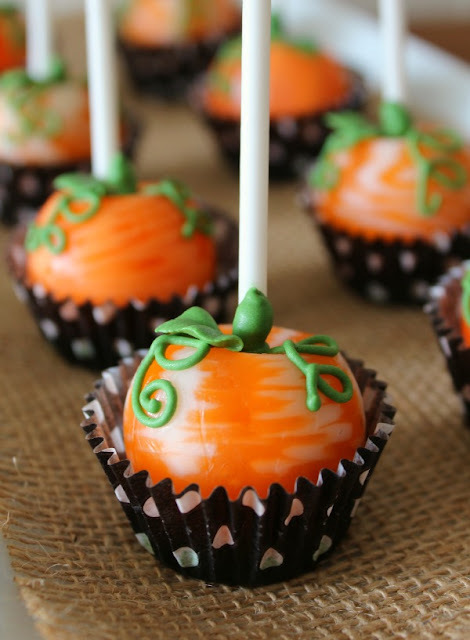 Callye solved that problem (and eliminated all the baking) with these cute pumpkin pops. You can check out how to make these fun Fall pumpkin pop treats over at The Sweet Adventures of Sugarbelle.